In fulfillment of prophecy (Isaiah 62:11 & Zechariah 9:9), Jesus rode into Jerusalem on a donkey. The crowds lined the street shouting “Hosanna! Blessed is He who comes in the name of the Lord.” (Psalm 118:25-26) They placed palm branches and robes in front of Jesus. This was particularly disturbing to the religious leaders who were jealous of Jesus. They demanded that Jesus silence the crowd, but he responded that even if the crowd were silent, the stones would cry out. The events of the next week would forever change the world. Jesus entered Jerusalem and the crowd welcomed him as a king. By the end of the week they were demanding his death. His followers abandoned him in fear. None of his close followers had really understood the events of Palm Sunday and Holy Week until after Jesus returned. They had all expected Jesus to be an earthly king, but God had given them something so much better – an open door into a Kingdom that would never end. Palm Sunday – Jesus enters Jerusalem. Maundy Thursday – The Last Supper and betrayal. Good Friday – The arrest, trial, crucifixion, death and burial of Jesus. Easter Sunday – The day Jesus rose from the grave. The Traveling Man is back! It is Release Day here at Eternal Press and we will be hosting a live chat with our New Release Authors tonight on our new website. Join Us For Our March Release Day Party! 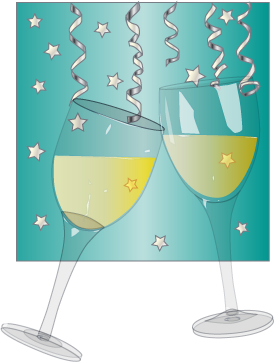 You’re all invited to join Eternal Press authors at our monthly launch party! Come chat all day on March 7, 2010 at: Eternal Press Reader’s Group to celebrate the new releases, visit with our authors, and just have fun. Then, help us keep the party going well into the night in the Eternal Press LIVE chat room at www.eternalpress.ca. Come out and have some one-on-one time with your favorite author or discover a new talent. Pick your favorite e-book at Eternal Press. You are receiving this email because you signed up on our website or at an event. Copyright (C) 2010 Marketing Media Management All rights reserved.